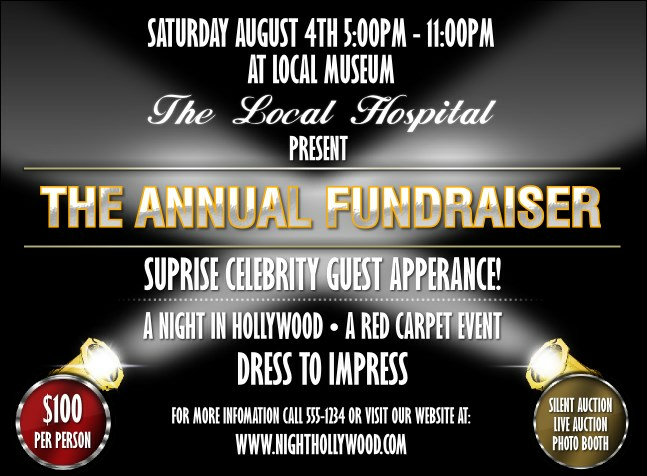 Invite A-listers, directors and starlets with the glitzy Hollywood Lights Invitation. Credit all your event details in fifteen lines of text on a dark background and bold spotlights. Bring your cast of promotions together with tickets, posters and flyers in a Matching Event Kit. Invite your whole cast and crew with the right invitation from TicketPrinting.com.